YOOX NET-A-PORTER GROUP today publishes insights from its global survey of 2,600 luxury customers across four continents, which highlights three key trends for the holiday season. Launched ahead of Cyber Weekend, the survey shows the growing importance of exclusivity for luxury customers when choosing gifts, the increasing trend towards high-end self-gifting and the unstoppable rise of Instagram as a source of inspiration for the luxury customer as the holiday season gets underway. Demand among luxury customers for exclusive items and one-of-a-kind experiences is just as strong when choosing gifts for loved-ones as it is when shopping for themselves. This trend was strong across all age-ranges but particularly so with millennials. To meet this growing demand for luxury items and experiences, NET-A-PORTER has launched a range of eight limited-edition Fantasy Gifts for the 2018 Holiday Season. Those looking to gift a once-in-a-lifetime experience can purchase an Ultimate Wellness Retreat in Abu Dhabi complete with workout wardrobe, a bespoke gem-setting class with Jaeger-LeCoultre with limited-edition Reverso watch, a bespoke shoe experience with Gianvito Rossi, or a “head-to-toe” beauty experience in London or New York. 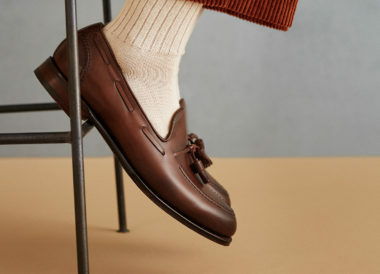 MR PORTER has expanded its gift offering to encompass 64 exclusives and gift sets for the holiday season from a number of new and existing brands including Acne Studios, Deakin & Francis, Soho Home and Uniform Wares. 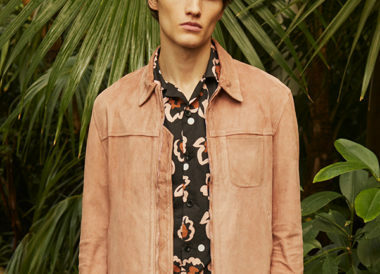 THE OUTNET builds on the trend with the launch of an exclusive collection by celebrated designer brand ELLERY. The exclusive edit offers 12 styles available in the Holiday Shop onsite. While a third of luxury customers intend to start their gift shopping over Cyber Weekend, the holiday season is also a key moment for luxury customers to buy themselves something special, with 65% saying they intend to treat themselves over the festive period. The trend for luxury self-gifting is strongest among millennials with 70% planning to indulge. Fine jewellery and watches are becoming increasingly popular choices for luxury customers. The research shows over 60% of women would not wait for someone else to buy them a desired item of fine jewellery, with 1 in 4 women intending to purchase a piece for themselves in the run-up to the holidays. 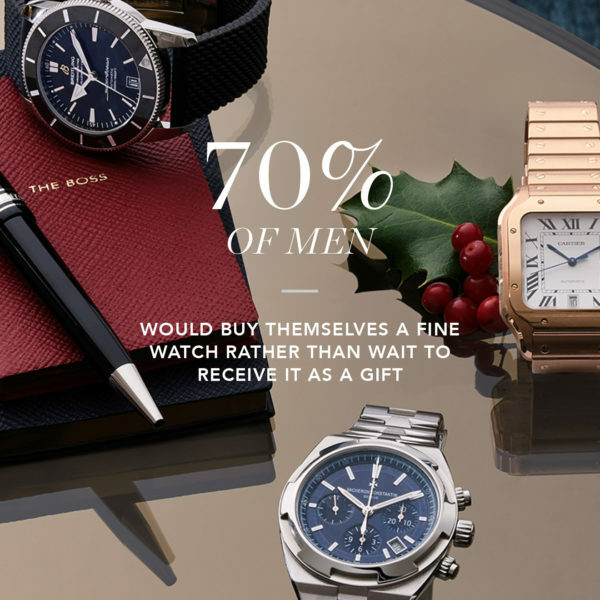 Similarly, over 70% of men wouldn’t hesitate to buy themselves a luxury watch rather than wait to receive it as a gift. NET-A-PORTER now carries over 60 fine jewellery and watch brands with recent additions including Vacheron Constantin and exclusive collections from De Grisogono. Meanwhile MR PORTER’s offering continues to grow with the recent launch of a curated selection of seven watches from Roger Dubuis, including an exclusive “one-of-a-kind” timepiece from the brand’s Excalibur family. To complement the one-off Excalibur purchase, MR PORTER will offer the owner a visit to the Roger Dubuis Manufacture in Switzerland, followed by an exclusive Lamborghini driving experience through the Jura Mountains. Partywear was among other popular choices for customers planning to treat themselves, with over 40% of customers planning to shop the category this season. NET-A-PORTER has responded to the trend by launching 46 exclusive capsules for the holidays, from designers including Alexa Chung, Rixo, Ganni, Blaze Milano, Halpern and new brands Rotate and Retrofete. Meanwhile THE OUTNET has introduced its Season of Style campaign, offering chic outfit solutions for every celebration. The power of Instagram as a source of inspiration for luxury customers continues to rise with over half saying it influences their shopping habits more than it did three years ago. Almost 70% of female luxury customers and almost 60% of men are now inspired to shop by Instagram. Millennials are the most engaged, with 80% of female customers visiting fashion brands on Instagram. NET-A-PORTER already sees a huge peak in sales with just a single post of a product on Instagram and the brand’s Instagram shop will feature heavily partywear and fine jewellery & watches over the holiday season. MR PORTER recently launched a new Instagram account solely dedicated to luxury watches – @mrporterwatches – featuring a curated selection of timepieces alongside styling advice and brand history. YOOX will leverage Instagram to promote its gift guide and seasonal promotions, while THE OUTNET will be using the platform to showcase an exclusive content collaboration with fashion influencer Blair Eadie to promote the brand’s Party Edit.